It has been 2 weeks since Emily and John got married and I think I’ve finally recovered enough to write about it! 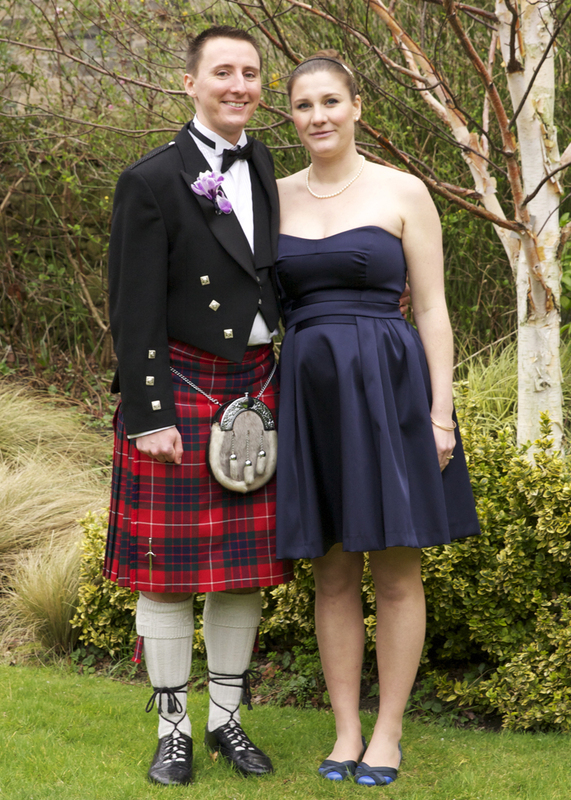 The wedding itself was a stunning affair, with a lovely glowing bride, a bag piping groom, gorgeous hand made bridesmaid dresses, and kilts whirling at the Ceilidh dance. 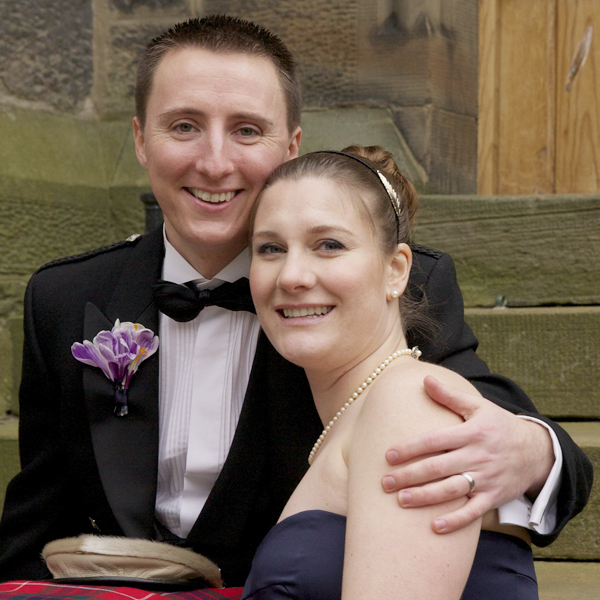 I was lucky enough to have crossed the Atlantic to join in the fun and photograph the happy couple. 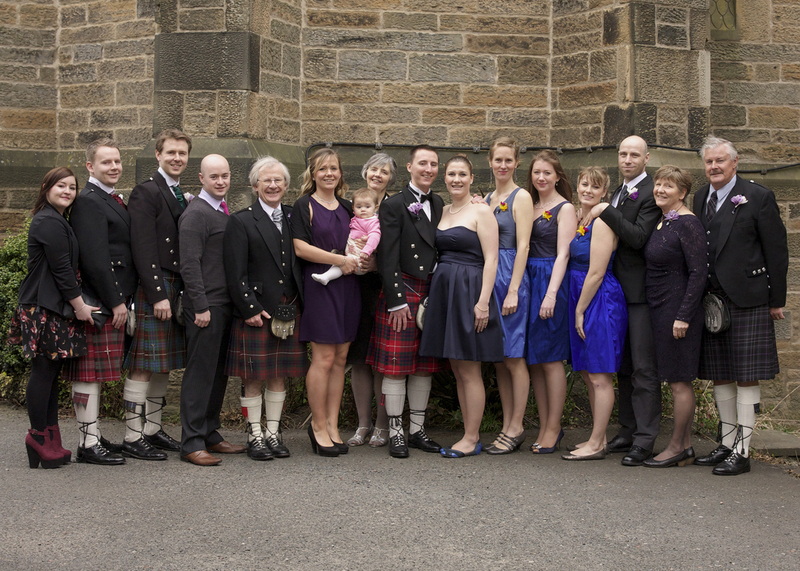 Emily wore a pretty navy party dress and John wore his kilt. I think her dress says everything about Emily. She isn’t really a traditional gal (although weddings are pretty traditional in themselves), she knows what looks good, and she can definitely be a party girl (you should have seen her on the dance floor!). The wedding dress sums it all up nicely. 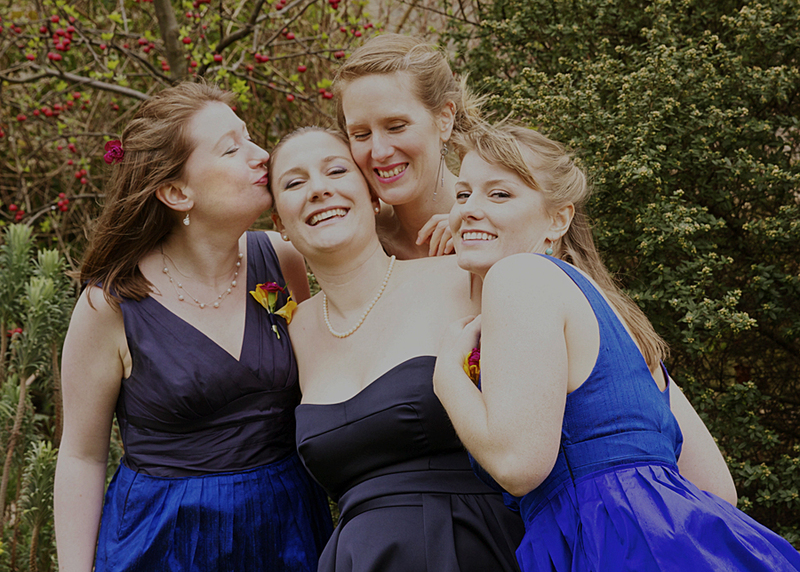 Emily also designed her bridesmaids dresses and with the help of Chantal (behind Em in the shot below), finished sewing them up just the day before the wedding! One of my favorite moments of the evening was John piping down the isle. He played a hint of Star Wars that lightened the mood and had everyone smiling and laughing. He beamed as Em walked down the isle, ready to continue their life together. I’m getting weepy just writing about it! After the ceremony and a few pics the party began: there were swirly skirts and kilts, flowing wine and champagne, and happy guests chatting and dancing the night away. Truly a wedding to remember! How lovely, Congratulations and best wishes. Thanks for shaing this. It looks wonderful. Congratulations, Emily! Wishing you much happiness.